The city of Cracow is hosting its annual WRRC competition soon, on April, 6th-7th. Main Class Formations will fight for the title of the European Champion on Saturday and the Junior Formations will find their new World Champions on Saturday. 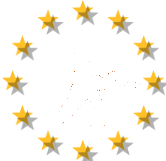 One and half month later, on May, 25th, the European Championship for the Acrobatic Rock 'n' Roll Main Class Free Style couples will be held in Paris. We have the video trailers for you to get you into the mood. Next to the formations, Klub Podwawelski from Poland welcomes couples and formations for a World Cup the Main Class Contact Style, Children, Juveniles and Girls formations on the first event day. The day after, the Acrorock MC FreeStyle and Junior couples as well as the Lady formations take the stage. And the competition poster-ad for Krakow looks like the following. At the end of May the EC for the Main Class Free Style couples follows suit, organized by the Fédération Française de Danse. The competition will be combined with the European Championship of Latin dances and the Paris Open for Latin and Standard.